It allows you extract clean CSS3 code from your designs with the CSS Properties panel. Enhance your productivity with better redraw performance for Mac OS and improved memory management for 64-bit Windows systems to support file sizes up to four times larger. Change colors more quickly with an improved color swatch. Create and optimize vector and bitmap images, content, comps, wireframes, mock-ups, and designs for smartphones and tablets with Adobe Fireworks. Keep designs crisp on screens of virtually any size with pixel-precise rendering. 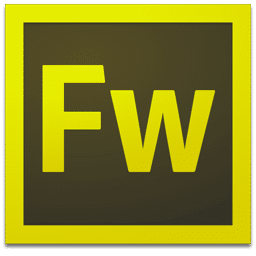 Accelerate web design and development with Adobe Fireworks CS6 software, the ideal tool for creating and optimizing images for the web and rapidly prototyping websites and web applications. Quickly translate designs created with Adobe Fireworks CS6 software for websites, smartphones, and tablets using CSS3 code extraction tools. Produce mobile themes with new jQuery support, and add CSS sprites from design comps. Speed up your workflow with faster access to color and the improved color swatch.